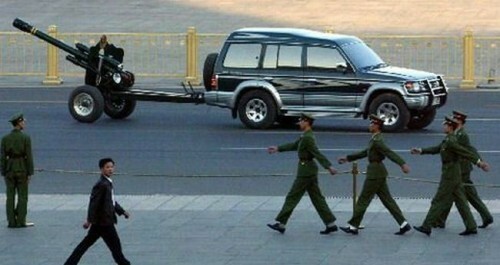 That isn’t a Land Rover it’s a Mitsubishi Pajero (i think) as driven by all top class dictators and cronies. Shiiit, we just pimped out your 50 mm howitzer, now you gonna earn some streetcred! Have I mentioned… DO WANT!? Thats no land rover. Its a Mitsubishi Pajero/ Mitsubishi Shogun/Mitsubishi Montero…. same diff.